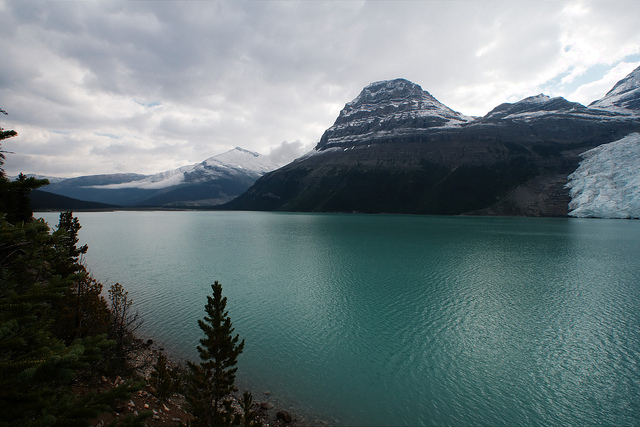 Day hike up to the milky blue Berg Lake under the spectacular (but often cloudy) Mt. 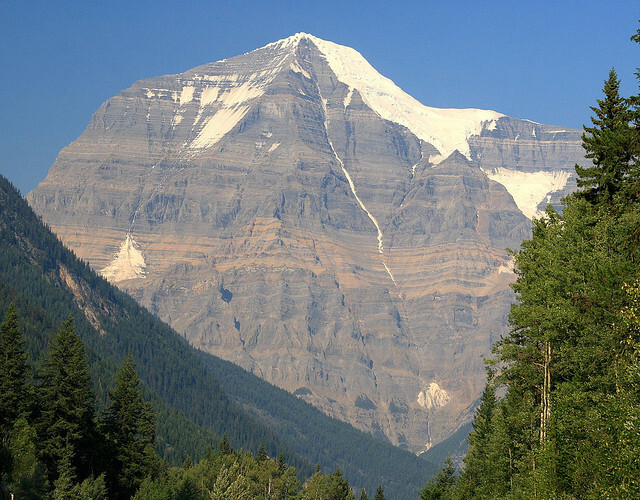 Robson, the Canadian Rockies' highest mountain. 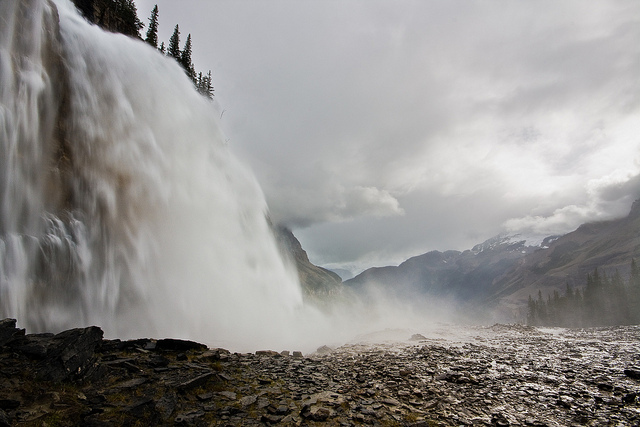 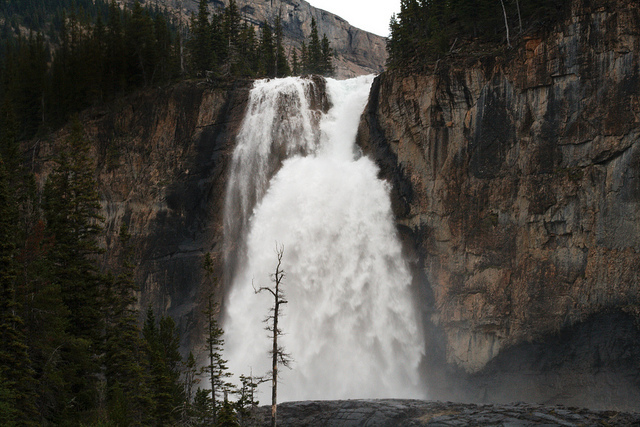 Gawp at the Emperor Falls, arguably the Canadian Rockies' most spectacular waterfall. 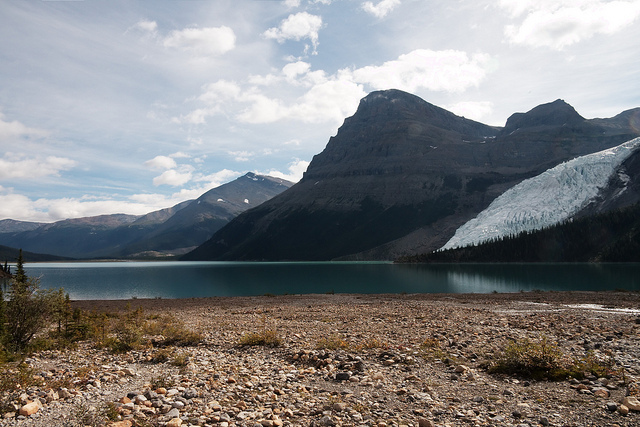 Or walk in and do even better and empty day hikes from a camp at the lake head. 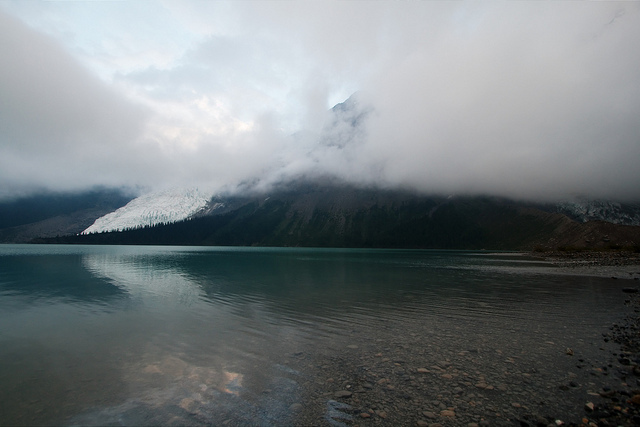 Note: Negs: return on the same trail, making for a trudge by the end. 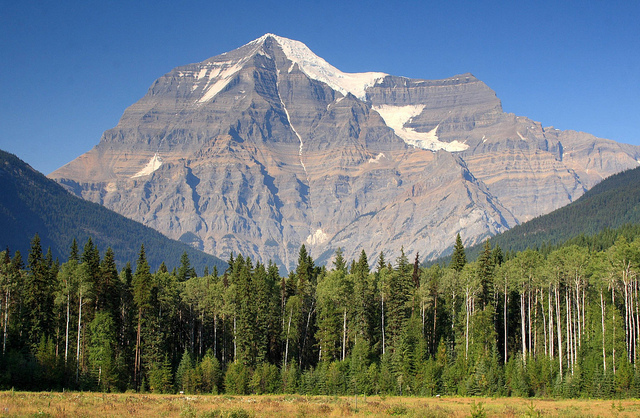 "Usually 2 days to get to the Lake at the base of Mount Robson, the highest mountain in the Canadian Rockies passing several wonderful waterfalls. 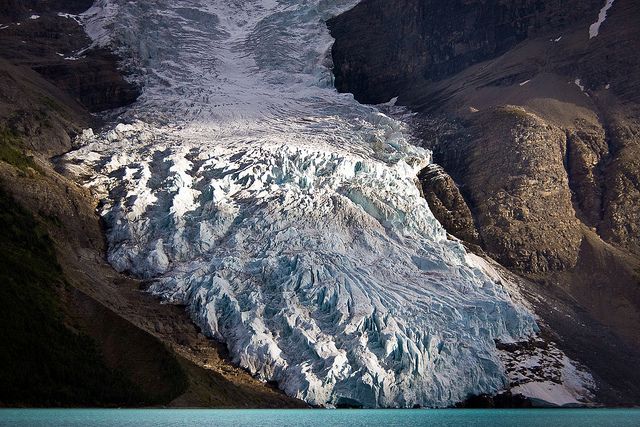 Ice calves off the glacier into the lake. 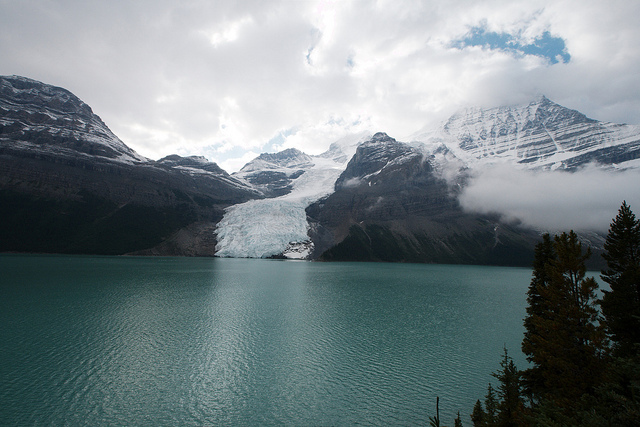 Day hikes from the lake."